Located in the countryside halfway between Évora and Estremoz the attractive hotel has only 20 guest rooms, a restaurant, bar and a pool. Discount rated online. The hotel Hotel Rural Belver Monte do Carmo with 20 rooms has a restaurant and bar, a wine cellar, a meeting room, a TV and reading room and an eco swimming pool. 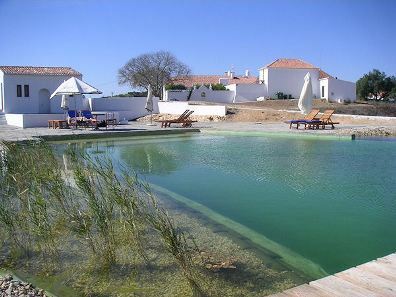 Feel the peace and breathe the country life in a 600 hectare country estate located area between Évora and Evoramonte, almost 102 km from Badajoz (Spain), 164 km from Merida (Spain) and 193 km from Caceres (Spain). Bicycles are available (by request 1 day before) if you wish to take a ride in the surroundings. The hotel can also organise activities such has fishing, canoeing, hunting, horse riding and karting amongst others, for the visitors wishing some physical diversions.